Despite announcement from the Greek authorities that they will rein in on their soldiers and get them to avoid nationalist and hateful chants during the Greek independence day parades today, a song that refers to Macedonians as barbarians was prominently featured. The Greek military parades, held on the independence day and on the so-called Oxi day in October, frequently cause tensions between Macedonia and Greece, most notably in 2008 when the soldiers shouted how they will “make belts out of the skins of the Skopians”. The chant “Macedonia is Greek” is also unavoidable during the parades. But, this year it was supposed to be different, and the Greek Government indicated that it will respect the Prespa treaty, which calls that nationalist displays are curbed in both countries. In this light, Greek media reported that the soldiers were banned from singing the song “Macedonia Famous”, considered the anthem of Greek nationalists from north Greece / Aegean Macedonia. During the parades of school-children on Sunday, they were told not to perform the song, and reports of this ban spread through the Greek media. In response, during the two main parades on Monday, in Athens and Solun/Thessaloniki, the song was prominently performed. It contains lyrics about how Alexander the Great expelled the barbarians from the land, and Greek nationalists use the lyrics to refer to the conquest of the region of Macedonia in 1912, with ethnic Macedonians cast in the role of “barbarians”. 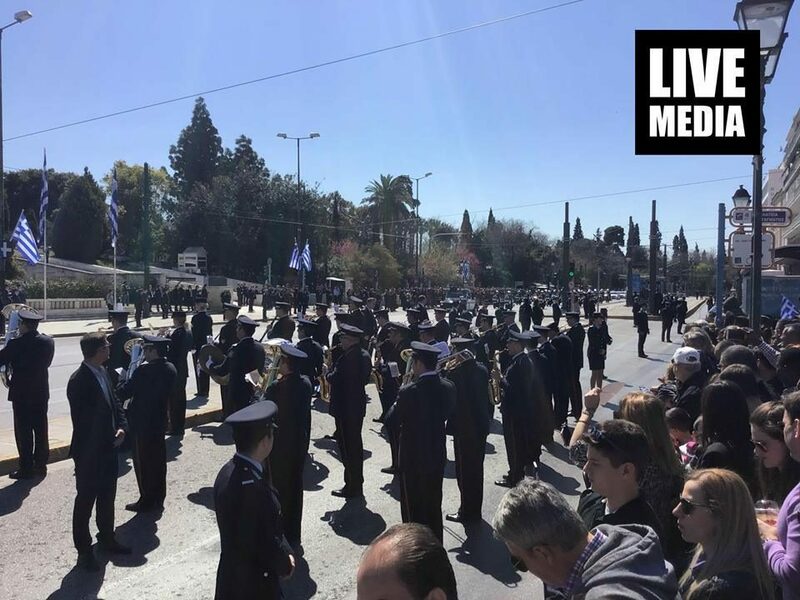 The Greek navy band played the song in Athens, while in Solun, it was performed not only by the soldiers but by thousands of citizens. The parade in Solun was also accompanied by protests from Greek nationalists, who denounced Prime Minister Alexis Tsipras for signing the Prespa treaty.